As the only female officer in her unit, Iska often felt unheard. Until she got her voice back. Captain Iska S. has faithfully served her country in the Reserve Force of the Canadian Armed Forces for nearly 30 years. As a woman who joined the military in the late 1980’s, her experience has been challenging in ways you might not expect. This is her story. Military blood coursed through Iska’s veins. Her grandfather, uncle and father had all served in Germany during both World Wars and she felt as though military service was, at least in part, her birthright. Still, Iska’s mother wanted her to have nothing to do with the Army. Those protests notwithstanding, Iska tried to join the Regular Force. When that didn’t work out she persisted and ended up joining the Reserves instead. Iska’s decision to join the military was more than an attempt to honor her grandfather’s legacy. She was in search of deeper meaning, a central purpose toward which she could orient her life. She wanted to feel like she was part of something bigger than herself, and the Reserves gave her the opportunity to do just that. Iska’s first unit was the 12 Service Battalion. 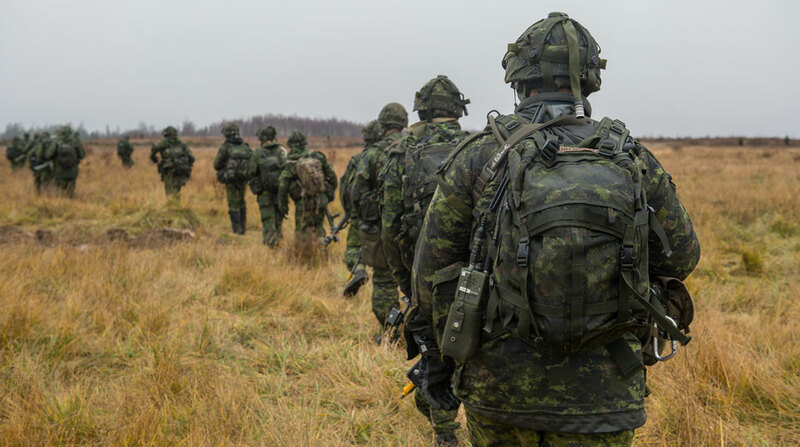 She wasn’t there long, however, before her Officer Cadet status was approved and she was sent to Gagetown for Reserve Entry Scheme Officer (RESO) training. This early course was a key point in Iska’s military career. The Course Officers were mature, knowledgeable, and eager to see their trainees succeed. For the most part, her fellow officer cadets were respectful and supportive. Whatever negativity may have been swirling in the air concerning women in the military at that time, none of it was on display at Gagetown. After that course, Iska rose to the top of her game. She felt empowered, strong, and confident. A family friend took immediate notice, affirming for Iska that the best thing she ever could have done was get out from under her mother’s thumb and join the Reserves. Sadly, she was about to learn that not every course or unit would offer an experience as positive as her time at Gagetown had been. Shortly after, Iska returned to her unit. 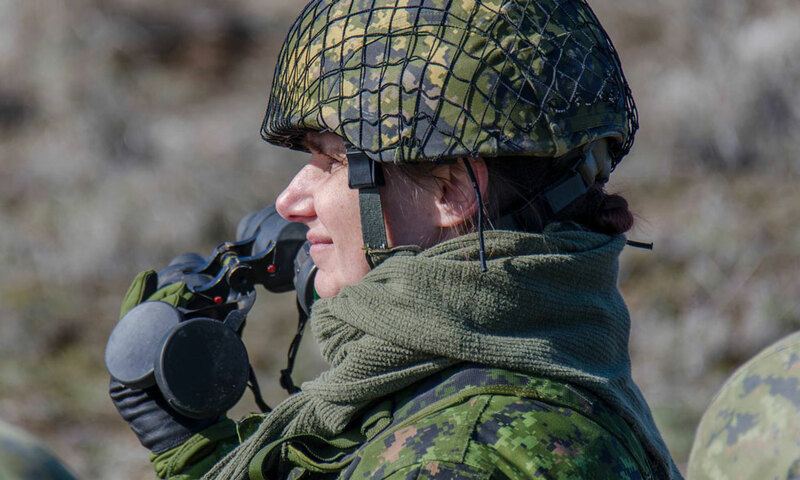 When she had first arrived 12 Service Battalion (before RESO), a well-intentioned male colleague told her that women like her had three options around there—Iska could either be a bike, a fridge, or a friend. As a bike, she could sleep her way into the good graces of her colleagues. As a fridge, she could do the exact opposite and position herself as an off-putting prude. Or, she could choose to be friendly and stay on everybody’s good side by accepting and overlooking a multitude of sexist sins. As the new female in town, Iska was the target of numerous unwelcome suitors from within the battalion. In the early days, a particularly forward NCO was the first to come knocking. Having already decided not to date at her workplace, Iska respectfully declined. Angry and spiteful, he gave Iska the cold shoulder, making life there much more difficult than it needed to be. On another occasion, while she was working on the Chilliwack Tattoo, a co-worker attempted to force himself on her at a cast party. Thankfully, the assault went no further than an unwanted kiss. Still, this violation represented just one strike in the brewing electrical storm that was her career. Sadly, she would have two more similar experiences over the next several years. On this, or any other point for that matter, the chain of command was of little help to Iska. Her commanding officer saw her as little more than a glorified secretary—at times even sending her to make him coffee. On one occasion, when it came time to hand out numbered coins to each of the officers in the unit, the quartermaster jokingly suggested she receive coin #69—another sign of just how little some of the men respected her—as an officer and a person. One could take this as a childish bit of locker room humor, if only it weren’t one of many representative tokens of the stifling environment in which Iska found herself. When her CO found out that several women were trying to leave, Iska was accused of mutiny. Not surprisingly, Iska wasn’t the only woman in her unit to experience this kind of treatment. When she and two other women had decided enough was enough, they attempted to transfer to a new unit. In order to transfer, Iska wrote a memo requesting the move. When her CO found out that several women were trying to leave, Iska was accused of mutiny. After being denied the transfer request, Iska mentioned it in casual conversation to a friend working at HQ. Eventually, this got back to her commanding officer, which only inflamed tensions between the two. As a result, the temperature in her unit raised to something just short of a fever pitch. Iska wanted to get out of there. Soon enough, she would get her chance. Iska left the 12 Service Battalion in 1992 and transferred into artillery. She was looking for a more systematic line of work—one where expectations and regulations were clearly drawn and respected. In other words, she was looking for the opposite of what she experienced at 12 Service Battalion. Of course, this transfer required her to enter a training course in artillery. Given her previous experience with RESO, Iska had no reason to suspect what would come next. Where they crossed the line, however, was in their frequent degradation of Iska and her fellow officers in full sight of their subordinates. When she arrived for training, Iska discovered that she was the only woman. While she had grown accustomed to her place in the feminine minority, she was quickly stunned to see just how little her Course Officers cared for the idea of a woman in their ranks. Unlike the mature, experienced trainers who led her RESO course at Gagetown, these instructors were far less civilized. They didn’t hesitate to try and run Iska out. If Iska’s trainers couldn’t respect her as a woman, one would have hoped they could at least respect her as an officer. Unfortunately, that wasn’t the case. Officers on the course with Iska were housed together with non-commissioned members—a significant, yet forgivable impropriety. Where they really crossed the line was in their frequent degradation of Iska and her fellow officers—in full sight of their subordinates. In the military, a relationship of trust, deference, and respect between officers and non-commissioned members is vital to the maintenance of good operational order. 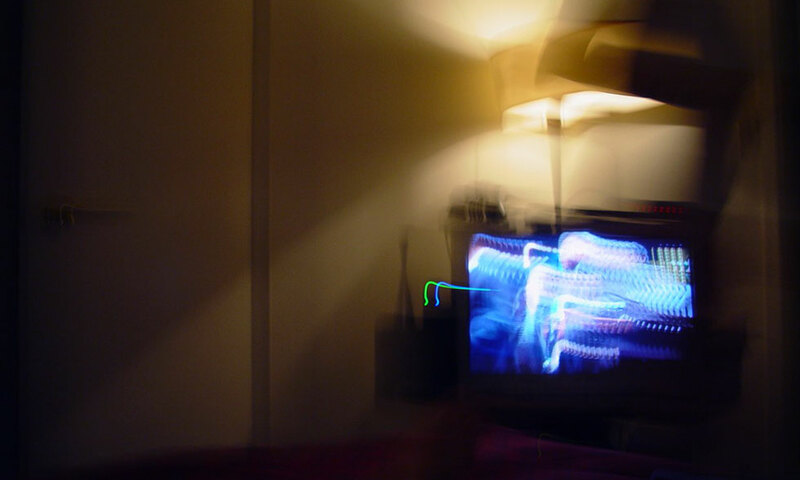 Without it, lines get blurred, missions get comprised, and people get hurt. The artillery course represented a watershed moment in Iska’s military career. Up to this point, she had been subject to varying degrees of harassment. Most of the time, things seemed relatively innocent—her well-meaning friend, for example, with his incredibly insensitive advice for navigating office politics as a woman. At other times, however, negative feelings toward Iska were almost palpable. One of these instances came after her transfer to artillery. Not long after her arrival, one of her male co-workers came looking for romance. Just as before at 12 Service Battalion, Iska politely rebuffed this man. Unfortunately, he wasn’t content to leave it there. He would exploit their working relationship to gain closer access to Iska, and even call at inappropriate times. Once he went so far as to send her a dozen long-stem roses at her civilian place of employment. Iska was certainly neither a bike nor a fridge, but she did try to be a friend. At first, she held this man at bay—trying not to stir up any trouble in her unit. Eventually, however, she came to learn that she was not alone. As it turned out, this man had behaved in a similar fashion with other women in the unit. When these women discovered one another, as it were, they had no choice but to lodge a formal complaint. Just as years of wind and rain wear the shingles off an old wooden roof, these offenses—large and small—wore away the initial passion that had marked Iska’s entrance into the service. That confidence she had derived from joining the Reserves and completing her RESO course had all but disappeared. Her strength was gone. Her once strong and resilient voice was now worn down to but a whisper. After all of this, Iska needed to step back from the Army for a while. So, she entered what was then known as the Supplementary Holding Reserve (SHR) for a time. Finally, after what amounted to an 18-month break from the military, Iska returned to her unit. Sadly, things continued for her just as before, plus now she felt like she was looked down on for having stepped away. Iska felt abandoned and betrayed. In the late 90’s, she decided to transfer to Headquarters, but even there she struggled to find her place. Worse, this would be the scene of another assault, as well as a sexual discrimination case. While a non-disclosure agreement prevents Iska from sharing details, this period would have a profound effect on her for years to come. Iska’s experience with the military continued in the same way. In 2007, she returned to her artillery unit again, and as luck would have it, was assigned to work under the same man who had harassed her so many years before. Naturally, she often felt uncomfortable and anxious around this man, and the rest of the unit was not much better. She always felt as if they didn’t want her around. As a result, she began to make herself scarce, missing mandatory meetings and staying away from the unit as much as she possibly could. Iska’s tumultuous relationship with her coworkers came to a head in early 2015, when she broke her ankle in a horseback riding accident. Laid up for weeks at home, not a single person from her unit came to see her. It was standard practice for people in her unit to visit their sick and injured co-workers, but not in this case. Later, Iska would find out that they all thought she was playing hooky. In their eyes, Iska was the type of person to fake a serious injury so she could stay home from work. 2015 proved to be a tough year for Iska. That summer, her husband—a fellow officer she had married in 2002—took a dark turn in his own struggles with PTSD. She spent each day tiptoeing through what she describes as an emotional mine field—struggling to keep her family from falling apart. One day, the kids had a cooking class and their father was wrapped up in work at his own unit. So, despite having to attend an important lecture at the unit, Iska volunteered to take the kids. She thought she had worked out all the scheduling, but when she got to the unit, Iska learned the time had been changed, causing her to miss the lecture entirely. For the first time in her career, Iska broke down sobbing. For 13 years, Iska had been living with a man who outwardly bore the scars of his psychological trauma. Thanks to her husband’s official PTSD diagnosis, she began to develop a vocabulary to describe what she had seen. Through reading up about his condition, Iska learned that the behavior she had originally written off as “just the way he was,” was evidence of the trauma he had experienced. But what she couldn’t yet see or describe were her own scars. She couldn’t name what was going on within her own heart and mind. She couldn’t see that, while she had never seen a physical battlefield, she had been fighting a private war of her own… for decades. That war raged until, in the fall of 2016, Iska was once again sexually assaulted by a male co-worker. At that point, enough was enough. In her mind, there was nothing she could do to protect herself, and nowhere she could go to hide. She couldn’t go on like this much longer. Something had to change. Iska learned about the Veterans Transition Program from her personal trainer. He had been through the program himself and thought it might help. Iska’s husband, however, wasn’t interested. He didn’t want to identify himself as a victim. He thought that if he did so, he would be stigmatized. So, after more consideration and discussion with her own therapist, Iska decided she would take the course herself in order to show her husband how valuable it was. She had never been to battle, so what trauma did she have to complain about? At first, Iska thought she was suffering from secondary PTSD—an all-too-common condition in spouses of combat veterans. This was the source of some hesitation on her part. What would the other people in the program think of her? She had never been to battle, so what trauma did she have to complain about? Iska quickly learned, however, that those sorts of thoughts were common among veterans considering VTP. When Iska finally dove into the program, she was immediately and forcefully discouraged from comparing herself to others. She quickly learned that what she shared in common with everyone at VTP was a deep wounding. One that needed to be exposed and dealt with. The source of that wound was ultimately irrelevant. Deep down, she and her classmates were all the same. As she delved into her own trauma, Iska learned that the roots of her psychological distress ran much deeper than she had thought. VTP and Iska’s new-found tribe of supporters provided her a safe space to explore her struggles more deeply than she ever had before. And, as she delved into her own trauma, Iska learned that the roots of her psychological distress ran much deeper than she had thought. For decades, she’d been disrespected, run down and cast out, all for no other reason than the fact that she happened to be a woman. 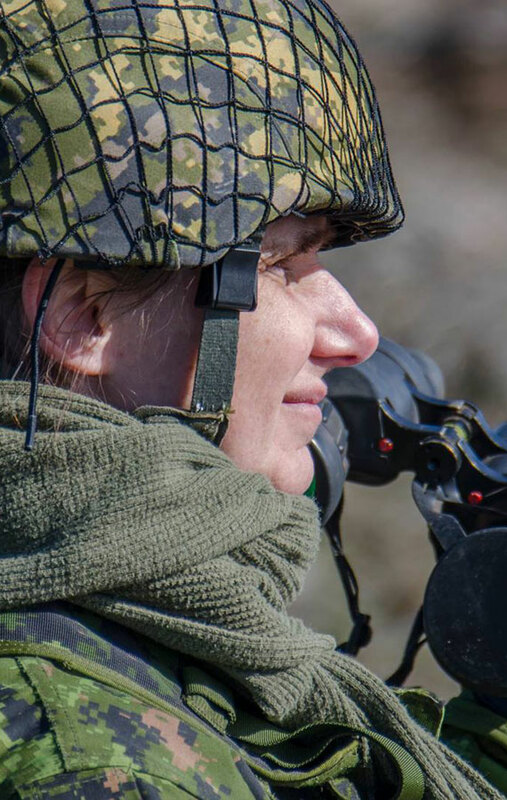 Time and again, she had been denied the dignity that rightly belonged to her, not merely as an officer in the Canadian Armed Forces, but as a human being. These long years of systematic oppression had worn her down and left only a shell of the strong, vibrant woman she had been when she first joined up in 1989. After she left VTP, Iska was a jumbled mess of thoughts and emotions, likening herself to a snow globe. Now, with the help of friends from VTP, a therapist, and her husband, Iska is patiently working through all that she’s learned. As she waits for the snowflakes to settle, one thing is clear. She will no longer be silent about what she’s going through. Over the decades, Iska had become conditioned to keep her concerns to herself. For the sake of her own survival in the military, she had let far too many indiscretions go unchecked. Eventually, the silence she adopted as a necessary coping mechanism became a marker of her identity and self-worth. Who was she to speak up about these things? Why should anyone listen to her? With the help of VTP, however, she was able to reclaim the voice that had been lost so long ago. Iska found a group free of comparison and judgment that understood her and had her back. The VTP provided Iska a place to delve into her trauma. Now, with the help of friends from the VTP, a therapist and her husband, she is able to patiently work through all that she learned. With the help of VTP, Iska was able to reclaim the voice that she had been conditioned to keep to herself. Now, she feels it is time to be heard.